What you pay for… It’s not a commodity: What is behind pricing in the HVAC industry? Consider this scenario… When you go to your dentist, the dentist charges you $500 for a filling. While you can buy that same filling on Amazon for $40, you probably aren’t too upset with the markup because you automatically understand that your dentist is providing a service, backed by training, licensure, education, and experience. Similarly, you go to a restaurant and pay $4 for a beverage that you could pay less than a dollar on your own. Why go to the restaurant and pay more? Because you are paying for the service, the ambiance, the environment, NOT having to do the dishes and everything else you see and love about that restaurant. By the same token, companies like Modern Mechanical are service-related businesses with licensed, trained technicians who provide services that are always covered by a warranty. As we all know, most people aren’t going to (successfully) fix their own air conditioning unit. So while you may be able to buy a part online for a fraction of the price, it is advisable to pay the extra costs and hire a company you can trust to provide you with quality service. No matter the industry, quality education and training costs money. Every year, each one of our technicians participates in more than 150 hours of training on top of updating and reviewing their certifications. When we hire someone new, even if they have 10 years of experience, they go through a rigorous onboarding process that lasts two weeks. 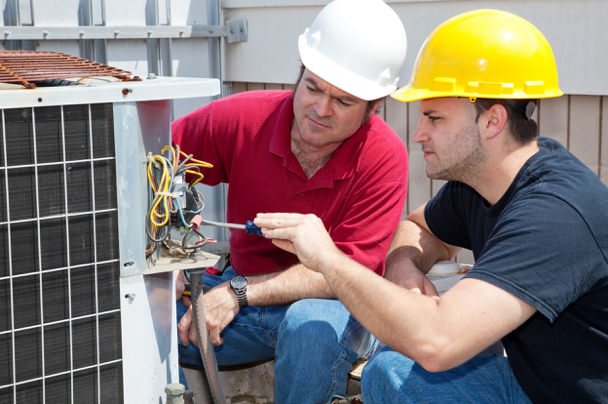 This training, onboarding, and certification are critical to making sure all technicians are 100% up to date on consistent changes being made to brands and models of HVAC units. While you may save a few bucks if you hire an unlicensed technician, you won’t be protected and can be left open to countless issues. Would you go see an unlicensed doctor? Would you use an unlicensed real estate agent? We make sure the people coming to your home are trained, licensed, and certified! Many competitors cut costs by hiring people and putting them in service vans right away, but not us. 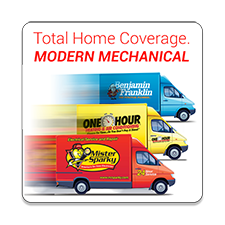 This is what makes Modern Mechanical’s One Hour Heating & Air Conditioning different. Not only do we equip our technicians with the best training and resources possible, we also promise a 100% satisfaction guarantee on all the work we do. We are committed to providing the highest level of service and installation in the industry. When you choose to call us for service, you are opening up your home to one of our technicians. We want to make sure that our people are fully vetted with background checks and references. We put our name on each technician’s shirt, and we don’t take that lightly. You open your home to us and we make sure each person is someone we trust to provide quality service, the first time. From fully-stocked vehicles complete with necessary parts to vetted and trained technicians, we aim to provide customers with the best service possible, every time. Although it may be enticing to pay the $50 for the part on Amazon, it does not come with the expertise, training, trust, and reliability of Modern Mechanical’s One Hour Heating & Air Conditioning employees and technicians.